SEARCHING FOR MUSIC? CHECK OUT OUR DATABASE OF MUSIC! Don’t worry if you can’t find your favorite musical composition in our ever-growing list of music to pick from because you can integrate as many custom musical compositions as you require! Virtually any type of music you can pick on Amazon or iTunes we shouldn’t have any quandary getting what you’ve requested. Toast’s database allows you to sift through tons of music and break it down to the best of the best: the authentic meat and potatoes. It features our top 200 requests, top 50 most trending musical compositions, and much more! 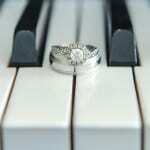 We have the most requested music for your 1st dance, bride and father, mother and groom, cake cutting, and much more! Feel at liberty to TEST run our music database: just click the link above to experience building a music playlist with Toast! We are a dedicated, full scope, professional entertainment company who specializes in high energy MC/DJ services. We will make sure your special event is the celebration of your dreams! You are likely just beginning your search for the ULTIMATE DJ; we hope you choose us, because we truly consider it an honor and a privilege to provide services for your special day. SO WE CATER TO YOU, it’s your day and we plan on keeping it that way: through UNLIMITED FREE CONSULTATIONS to use our easy online planning system — preview music, select Must Play’s for your favorites and Do Not Play for those songs you just can’t stand. From the very beginning we will WORK TOGETHER to fill your day with unforgettable memories. We have an unlimited Music Library at Toast Entertainment — our collection has over 100,000 songs, including SPANISH/TEJANO MUSIC. We update our collection frequently, and, any request we don’t currently have we will gladly acquire it with no extra cost to you. We arrive with wireless internet wherever we are so we can download onsite music as well — there is almost no request we can’t play. 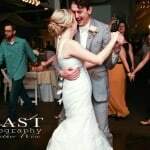 Toast Entertainment only sends experienced DJ/Party Motivators who each have years of experience being experts at getting your crowd on their feet. Currently we play over 150 weddings a year — aside from over 50 different corporate, PARTY, restaurant/bar, and other various events. 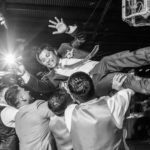 Many of our clients are from word of mouth, so we fully commit to ensuring your celebration leaves all your guests feeling they have had the time of their lives. We send PROFESSIONAL, POLISHED performers’ to make all announcements and hosting duties. Our DJ’s/Emcees have years of HOSTING experience. We also strive to do a great job helping you coordinate the day. Understanding that you are going to be busy talking to all of your guests we will assist you in keeping the timeline and the flow of the day running smoothly. 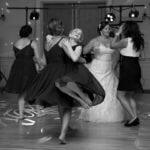 Specializing in weddings and we make sure every event will exceeds expectations! 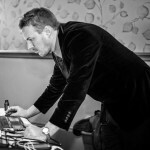 We maintain a perfect score on weddingwire.com while never receiving a bad review for DJ services! See for yourself — see our weddingwire, our testimonials page, and also check out our Facebook page for amazing feedback couples are constantly leaving! We provide the best value in the industry. That being said we do offer some of the best rates as well. Starting at $695 for four hours, we are proud to be one of the only entertainment companies in Texas to offer easy to understand, flat pricing for all of our clients! We don’t haggle based on your venue or budget. Please visit our rates page for a full list of our packages. Please visit our rates page for a full list of our packages. 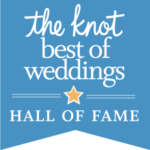 Toast Entertainment is pleased to announce that they have been inducted into The Knot Best of Weddings Hall of Fame. The Knot is the leading wedding brand and marketplace. 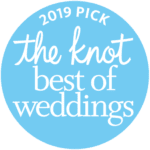 Exceptional wedding professionals who have earned four or more of The Knot Best of Weddings awards are inducted into the prestigious Hall of Fame. In 2017, only 2% of the 250,000 wedding professionals listed on TheKnot.com have received this distinguished accolade. WeddingWire Couples’ Choice Awards® recipients represent the top five percent of wedding professionals who demonstrate excellence in quality, service, responsiveness and professionalism.